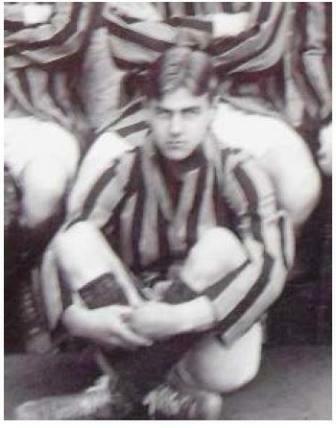 Arthur was born on 23 January 1897 at Fordham, Cambridgeshire, the only son of Julius Harry (Grocer) and Selina Elton (née Rice) Whitworth. The 1901 Census (RG 13/1757) shows the family living at 'The Lodge', Worlington, Suffolk and Arthur had one older sister, Nora E. In 1911 (Census RG 14/9086) the family were at the same address and Arthur was at School. Julius and Selina were married in the September quarter 1894, in Gloucester, where Census returns indicate Selina was born. Julius originated from Lincoln, but the report of Arthur's death in the Buxton Advertiser (see below) clearly indicates that at that time they were living at Wiseman House, Marlborough Road, Buxton. 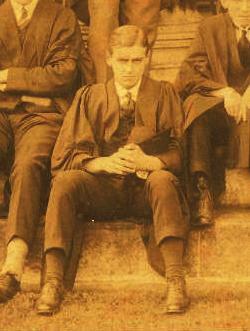 group photo of Arthur and his fellow undergraduates. the CWGC entry the family had moved again to "Strathray," Birling Road, Tunbridge Wells. Arthur originally enlisted as Private 6633 in the Artists Rifles (28th Battalion, The London Regiment). If he spent 4 terms at Cambridge this would suggest he enlisted early 1916 - The Buxton Advertiser account of his death (4th May 1918) suggests he joined up in February 1916. The 28th had arrived in France at the end of October 1914 and became an Officers Training Corps (OTC) at Bailleul and in April 1915 it moved to St Omer. In November the 1st/28th and 2nd/28th were merged and the battalion was sent to the front at the end of June 1917, allocated to the 190th Brigade, 63rd (RN) Division. Published details state that Arthur went out France in 1917 where, according to 'The Cambridge Review' of 9th May 1918, '…he proved himself a most capable and popular officer…'. In 1917 the 24th (Tyneside Irish) Battalion fought in the The First and Second Battles of the Scarpe and the The Battle of Arleux during the Arras Offensive. In August they were involved in the fighting at Hargicourt and on the 10th the Battalion amalgamated with 27th Battalion to form the 24/27th Battalion. It is not known when Arthur was attached to the 19th Battalion. At one point, Arthur was evacuated to hospital suffering from exposure brought about by being in a shell hole under heavy fire for two days and nights. Following his recovery, he returned to France. 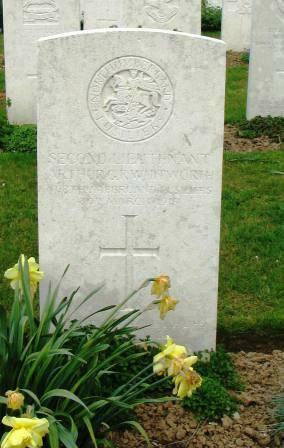 On 28th March 1918, during the great German Spring offensive, whilst serving with the 19th Battalion, The Northumberland Fusiliers, he was wounded and died two days later, on March 30th, aged twenty. His obituary in 'The Griffin', Downing College's Magazine, also quoted Arthur's C.O. 's words, as above. Arthur is buried in Doullens Communal Cemetery Extension No. 1. It is likely, therefore, that he died of his wounds in one of the Hospital facilities located in the town, possibly the 3rd Canadian Stationary Hospital (which stayed there until June 1918) and/or the 2/1st Northumbrian Casualty Clearing Station. In March 1916, Commonwealth forces succeeded the French on the Arras front and the 19th Casualty Clearing Station came to Doullens, followed by the 41st, the 35th and the 11th. By the end of 1916, these had given way to the 3rd Canadian Stationary Hospital (which stayed until June 1918) and the 2/1st Northumbrian Casualty Clearing Station. From February 1916 to April 1918, these medical units continued to bury in the French extension (No 1) of the communal cemetery. In March and April 1918 the German advance and the desperate fighting on this front threw a severe strain on the Canadian Stationary Hospital.